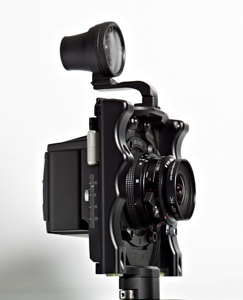 The Achromatic+ digital back is a virtually universal modular component, capable of easily adapting from SLR, technical, view, and even custom camera configurations. It integrates seamlessly into the applications and workflows of artists, scientists, preservationists, and aerial photographers worldwide. 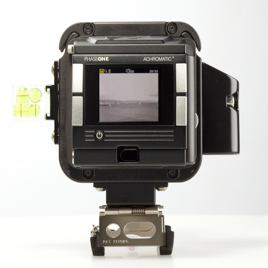 Whether you’ve got a dusty old Hasselblad 500 in the closet, or you need a custom-built camera for a special application, the Achromatic+ is capable of mounting on a wide variety of cameras. It will interface with fully automatic as well as fully manual platforms, and integrate easily into large format view camera systems. With today’s medium format camera platforms & technology, you can shoot with an auto-focus SLR one minute, with fully automated exposure & controls, then switch the next minute to a fully manual medium format technical camera or view camera. Commonly used camera platforms include those from Phase One, Mamiya, Hasselblad, Contax, Alpa, Horseman, Cambo, Linhof, Sinar and Toyo. 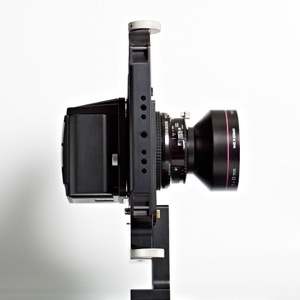 Choosing your camera platform can be a big decision, so please let us help! 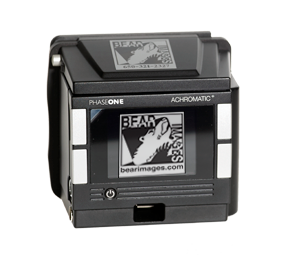 Give us a call at Bear Images to discuss the various cameras available for the Achromatic+! 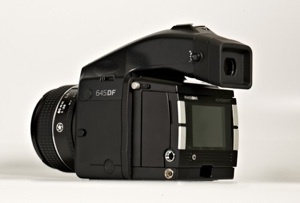 The Phase One 645DF camera body is one of today’s most prevalent camera platforms for use with medium format digital backs. While offering the conveniences and abilities of modern technology, it remains simple and functional. 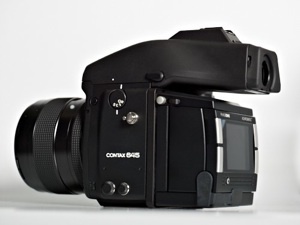 For a number of years, Contax made an auto-focus 645 camera platform, which is still supported by modern medium format digital backs. The camera is no longer produced, but is affectionately known as a “tank”. 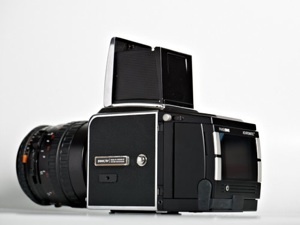 Perhaps the most well-known and beloved camera system of all time: the Hasselblad 500 series. 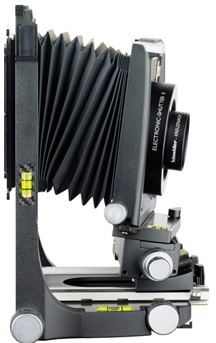 This mount includes several models of the all-manual, leaf-shutter, workhorse camera (including the 555, shown below). A fully manual, modular camera system with excellent optics and a large selection available on the used market. 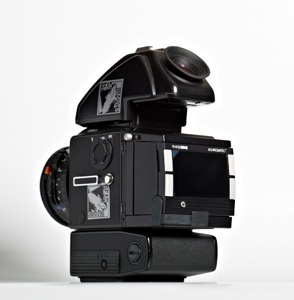 Like the Hasselblad 501 above, the ELD & ELX are examples of a slightly more modernized Hasselblad. Outfitted with an integrated power winder mechanism and 45º prism viewfinder, this camera can feel much more modern than it is. 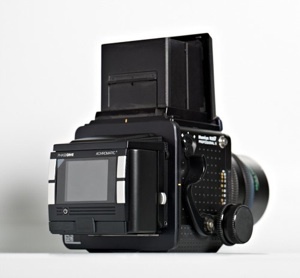 The Mamiya RZ 67 holds a special spot in the “jumbo” medium format arena. Originally designed to create 6x7 film images, it is now commonly adapted for use with medium format digital backs. Ideally suited for macro work, as the focusing bellows are integrated into the camera body & focusing may be “locked” to prevent creeping. 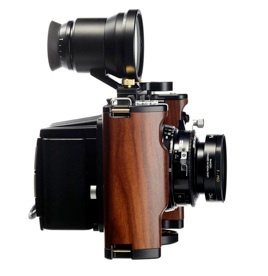 Among the many options in technical cameras, the Alpa Max is perhaps the most compact yet versatile configuration. With both vertical rise/fall and horizontal shift built-into the body, and a helical focus lens range, the Alpa Max delivers many of the advantages of a full-blown view camera in an extremely compact package with an immense selection of available optics. 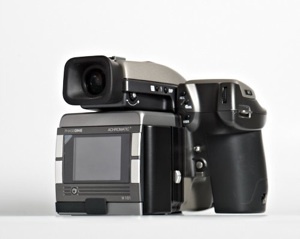 The Hasselblad/ Fuji “H” platform is another option for an auto-focus slr-type camera. While no longer produced, it offered a decent lens range, autofocus, auto exposure options, and a modern fit & finish. 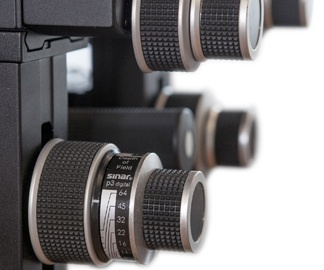 Another option in the technical camera genre is the Cambo Wide RS. Offering rise/fall and shift in the body, and tilt/swing in the lens mounts, the RS is a fully featured tech camera with all of the movements. Focusing is accomplished via helical mount lenses, and the price tag is quite reasonable. 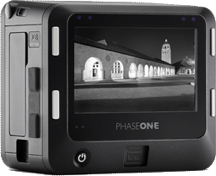 ThePhase One XF, is an Updatable and Programable Camera System from Phase One. It offers all major features of a professional camera, automated focus stacking, removable finder, multi-shutter system. Vibration Sensor and vibration reduction, Power Sharing, and exceptional range of lens choices. The Linhof Techno is literally a mini view camera. It’s essentially a hybrid of the larger 679 and the smaller Technika. 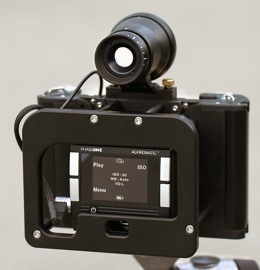 The Techno offers the portability and functionality of a 4x5 field camera, but in a platform designed specifically for medium format digital backs. For studio or more stationary and controlled applications, the Achromatic+ adapts easily to any major brand of full size view cameras. Many of these cameras offer geared movements for a very high level of precision, control, and repeatability. Full size view cameras may be the best solution for those seeking maximum depth of field, or perspective control during capture. There are almost infinite possibilities of available camera platforms. For more information on the Achromatic+ digital back, and how it may integrate into your specific application, please contact us. 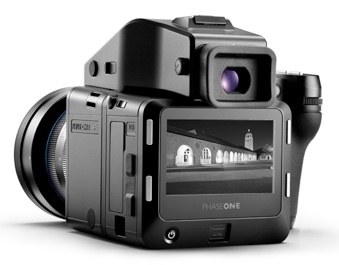 The IQ3100 Achromatic digital back is an interchangeable component, capable of easily adapting from the XF, technical, view, and even custom camera configurations. It integrates seamlessly into the applications and workflows of artists, scientists, preservationists, and aerial photographers worldwide.